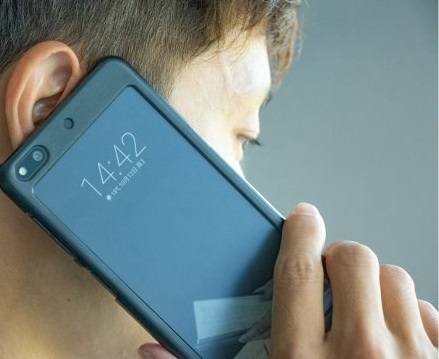 Have you ever thought of a smartphone having a 5.6 inches display on the back of the phone? 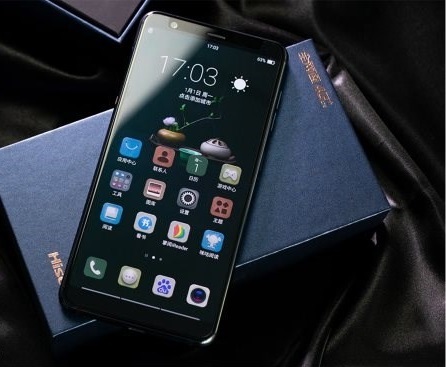 Hisense has brought a smartphone having that unique feature. This dual display smartphone is powered by the Android operating system. The Hisense A6 is powered by mid-range hardware and can be considered as one of the best smartphones in this price range. To know more about this smartphone, go through the full review. It is one of the important factors of being a smartphone. Hisense A6 is pretty eye-catching in terms of design. 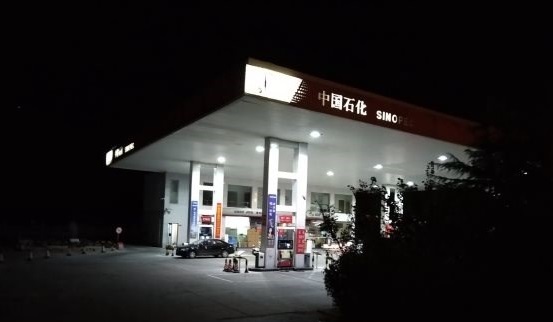 But there was not much publicity for the design. The Hisense A6 will feel comfortable in one hand. The rounded design of the smartphone makes it feels more comfortable in hand. The amazing side of this smartphone is its dual-sided displays. 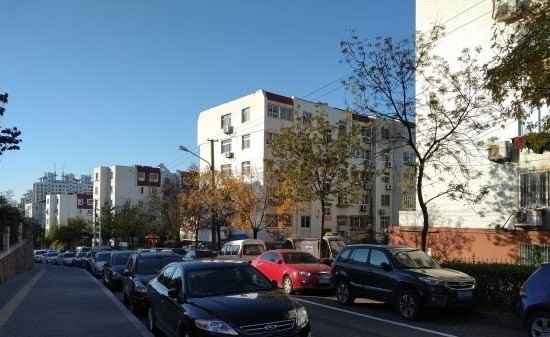 It is very innovative in terms of performance and design. The left and right sides of the front display are narrow. There are certain borders on the top and bottom. You will find a large front display without a very little border on both left and right side as well as on top and bottom. The back display is called the ink screen which is limited and anti-missing. There is a large black frame around the display. The camera of Hisense’s A6 is flat and not prominent. The ink screen not that large as the front Amoled display. The SIM card tray and the power button are found on the left side of the phone. You can switch between the AMOLED display and the ink screen by pressing the power button. Separate volume buttons and a combination button are found on the right side of the phone. Fingerprint recognition sensor is implemented on the power button of the smartphone. 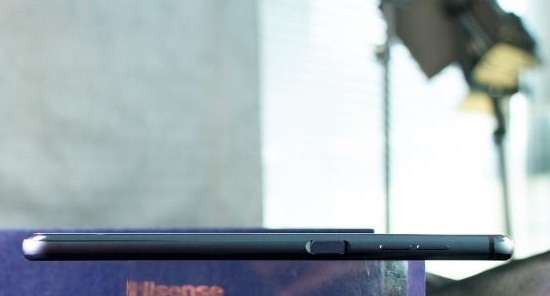 There are a speaker and a USB Type-C interface on the bottom of the phone. You won’t find any 3.5mm headphone jack in this phone. You can use USB Type-C to 3.5mm converter to use your regular headphone. In terms of design and appearance, we have to say that Hisense did a good job. Dual display is the main unique feature of the Hisense A6 smartphone. On the front of the smartphone, there is a massive 6.1 inches AMOLED display having a resolution of 2160X1080. A 5.6-inch ink Carta HD screen having a resolution of 1440X720 is on the back of the phone. Mirror mode of this device can project the entire Android experience on the ink screen. 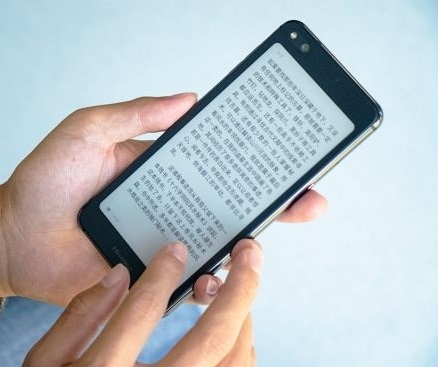 Making phone calls, using Kindle app or accessing Google play can be done in the ink screen. It became possible because the ink screen is also a touchscreen display. You can access a lot of important information on the negative screen. You can search for news or nearby restaurants on the negative screen of the phone. 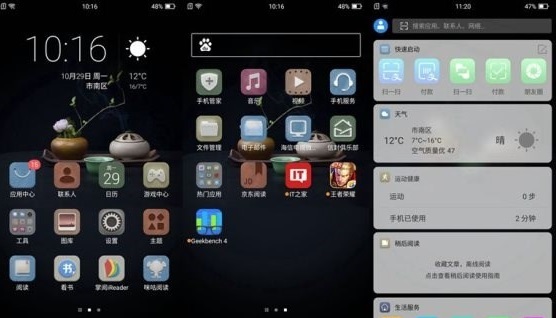 At present, Alipay and WeChat payment can be done on the negative screen. Using the independent physical button, you can switch between the AMOLED and ink screen. The switching is time is relatively short. Phone calls can be made on the ink screen. The dual-screen technology is under experiment. It is made for special users. At present, you won’t be able to do much on the ink screen. You will most probably use the ink screen for reading purposes. It will help your eyesight during long-term reading on the phone. The Hisense A6 is powered by an octa-core Snapdragon 660 processor based on the 14nm process. There are 4 cores with 2.2GHz and 4 cores with 1.8Ghz clock speed. For the RAM management, there is 6GB of RAM with 64 or 128GB of internal storage. For managing graphics, Adreno 512 is used. Snapdragon 660 is considered one of the best processors at the recent time. The balanced performance and moderate power consumption design made this processor popular. Though flagships from popular vendors are using Qualcomm’s latest Snapdragon 845 chipset, Snapdragon 660 is not out of date. 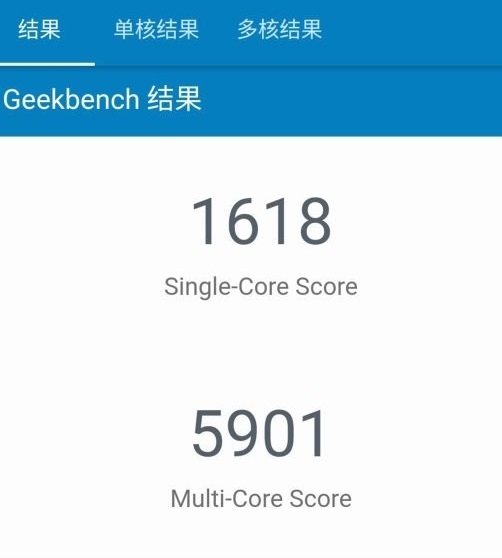 Snapdragon 660’s single core has a score of 1618 points. The multi-core score of this processor is 5901 points. So, we can assure you that Hisense A6 will be able to give you faster and Smooth performance. 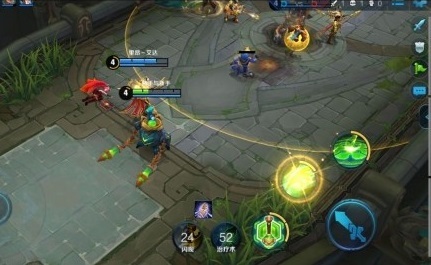 Because of its powerful CPU, GPU and RAM management, playing heavy games on this smartphone will be a great experience. Without good camera performance, no smartphone is perfect. 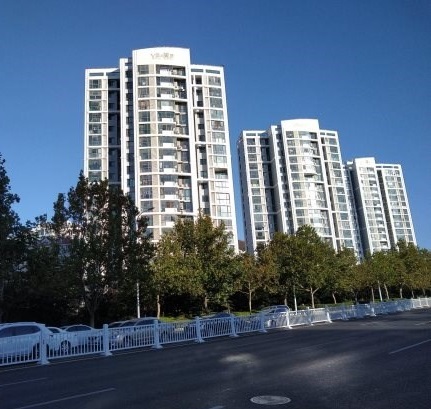 In terms of camera performance, Hisense A6 can be considered as a mid-quality camera phone. The rear camera of this phone is a 12 megapixels shooter. You won’t find a dual-camera setup on the front or on the back. There is a 16 megapixels selfie camera. The selfie camera will be very useful for selfie lover. In the daylight, the color reproduction of the camera is quite good. Hisense uses their AI shooting algorithm to make the photos even beautiful. But in the poor lighting condition, you’ll see that the quality of the photos will be decreased as the decreasing of the light. So, you’ll get a mid-powerful camera phone in this budget which is not that bad. Hisense A6 runs on the Android operating system. It is based on the Android’s latest operating system Android 8.1 (Oreo). The OS is customized because of its dual-display feature. The overall UI experience is quite smooth and fast. The Hisense A6 is 4G enabled. You can use a 4G LTE sim card which will be able to give you better bandwidth. It features 2.4GHz WIFi band which is good enough to connect you to the internet. Hisense A6 comes with all the necessary sensors in it. Though it has facial recognition for security purpose, it features a fingerprint sensor on the edge of the phone. Just like all other smartphones, sensors like Accelerometer, proximity, Gyroscope etc are featured on this smartphone. You’ll find an IR blaster on the top of the phone which makes A6 a remote controller to control TV, AC etc. No smartphone can be perfect without a better battery life. 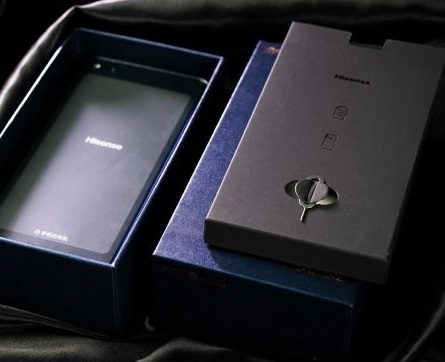 To power this smartphone, there is a 3300mAh battery. As Hisense A6 is powered by the dual screen setup, you may think that the battery life will be worst. But it is not that bad in terms of power consumption. After using the smartphone heavily for around 3 hours, only 40% of the battery life was reduced. So, it can be said that the battery is able to perform the whole day under moderate use. You may have thought that the ink screen will consume a lot of power. But it is not that bad. After using the ink screen for a few hours, only 2 to 3% charge will be reduced. So, it won’t be an issue. And the amazing side about this phone is that it supports fast charging. It comes with a 9V/ 2A fast charger which can charge your phone 70% in 60 minutes which remarkable. 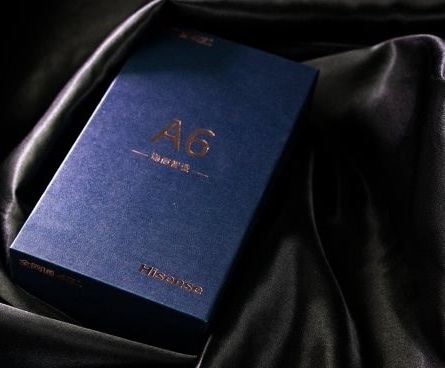 After opening the box, you will find the Hisense A6 smartphone. 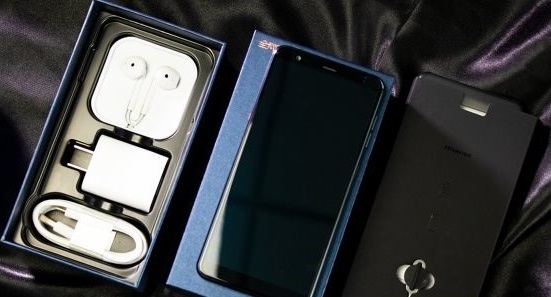 With the phone, you will get the sim ejector tool, a mid-quality headphone, a fast charger, and a user manual. Though Hisense A6 has some good and unique features, it has certain things we didn’t like.
? The overall camera performance is not that good. It could be better.
? 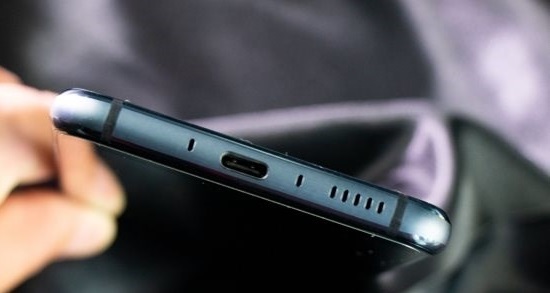 No 3.5mm headphone jack.
? There are not many features available for the ink screen. The unique dual-display feature of Hisense A6 is quite interesting. The ink screen can be used as an electronic paper book which is very helpful for reading. The Hisense A6 is housed with all the mid- powerful hardware. This smartphone can be used as a daily driver because of its smooth and faster performance. In this price range, we think, it is one of the best smartphones in the market having a dual-display feature. 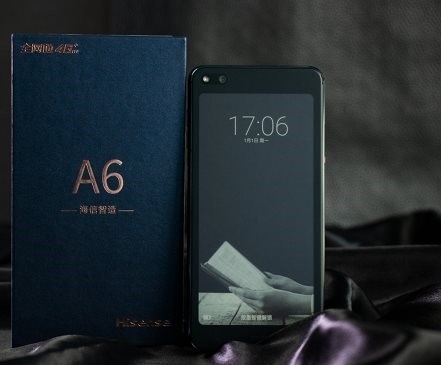 So, if you are planning to buy a smartphone in this price range, we strongly recommend you to buy this Hisense A6 smartphone.